Defusing Complacency at Work: J.A. Rodriguez Jr.
Monday Morning Blues . . . 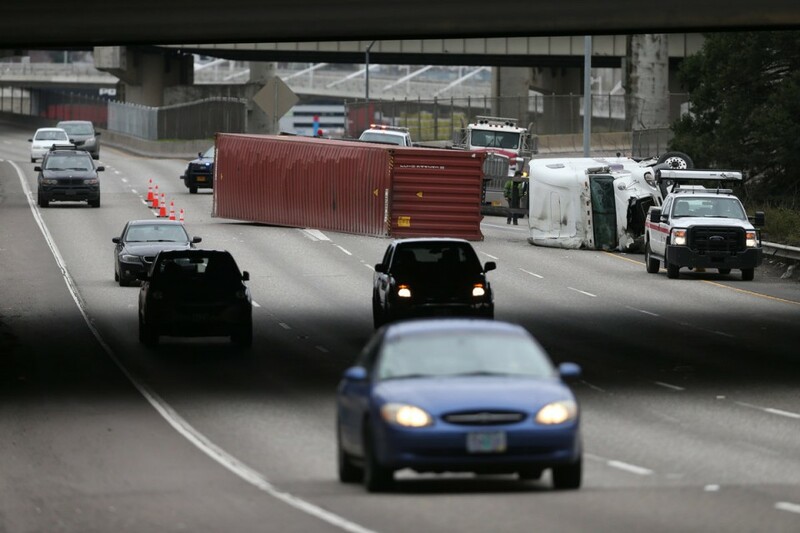 It was about 11 AM on Monday morning when the driver pulling a container came around the corner on the Interstate 5 ramp to Interstate 405 in Portland, Oregon. Perhaps he had run this route hundreds of times with no problems. But today would be different. As he came around the curve, the load shifted and resulted in what some call an “upset.” Neither the driver nor any member of the the public were injured, You can bet his boss was upset when he called it in . . .
Not according to J.A. Rodriguez, who gave his presentation this afternoon on Safety Complacency in the Workplace today in a webinar sponsored by Avetta and EHS Today. If safety complacency is happening at your workplace, it’s not by accident, says Rodriguez, a nationally known presenter. In fact, if complacency happens, it’s usually the result of design: it’s part of a process that allows it to happen. Furthermore, because it’s part of a process, it can be changed. Rodriguez gave his strategies to overcome workplace complacency, followed by a Q&A session. I would encourage everyone involved in safety to view his presentation when it is posted by EHS. Thank you for viewing this. This entry was posted in Driver Indoctrination and tagged J.A. Rodriguez, Safety Complacency in the Workplace by admin. Bookmark the permalink.